Major U.S. stock indexes were drifting sideways in afternoon trading Wednesday, giving back some of the market’s gains a day after the S&P 500 hit a record high. NEW YORK — The S&P 500 index was on track for an all-time high Tuesday as big U.S. companies began turning in solid results for the first quarter, despite predictions for the worst quarter of earnings growth in years. 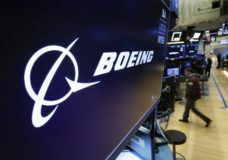 Major U.S. stock indexes drifted sideways in afternoon trading Monday as a rally in energy companies was mostly held in check by broader declines elsewhere in the market. 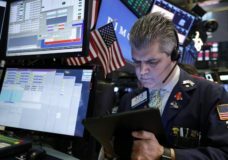 U.S. stock indexes wavered between modest gains and losses in midday trading Thursday as another slide in health care sector companies offset gains elsewhere in the market. Stocks closed higher on Wall Street Wednesday as solid gains by technology companies helped the market recoup some of its losses from a day earlier. Industrial companies led a slide in U.S. stocks Tuesday afternoon, threatening to snap the market’s eight-day winning streak. NEW YORK — U.S. stock indexes drifted lower on Monday, putting at least a temporary halt to their weekslong advance. The pause comes at the beginning of a busy week for markets. U.S. stocks moved higher in afternoon trading Tuesday as the market extended a winning streak well into a second week. 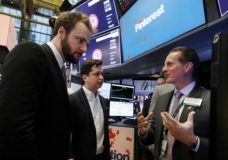 Consumer product makers, health care and technology companies notched some of the biggest gains. 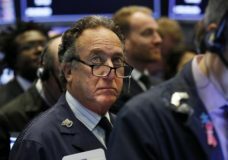 NEW YORK (AP) — U.S. rose broadly in morning trading on Wall Street Wednesday, powered by technology and health care companies, as the market pushes for its third straight day of gains. Stocks marched broadly higher on Wall Street Monday afternoon, on track to snap a five-day losing streak for the S&P 500 index. NEW YORK — U.S. stocks fell Friday following a surprisingly weak jobs report and more signs that the global economy is hitting the brakes. NEW YORK — U.S. stocks moved lower in morning trading, led by banks and technology companies, putting the market on track for its first losing week since January. Health care companies led U.S. stocks broadly lower Wednesday, giving the market its third straight loss.